We have sold and serviced trailers in every state in the continental US and several other countries. Just call or email and we'll handle the rest! Our Service Managers will quickly contact you to discuss your problems or concerns. If it's something we can handle on the phone, we'll walk you through the solution and/or ship parts to you. 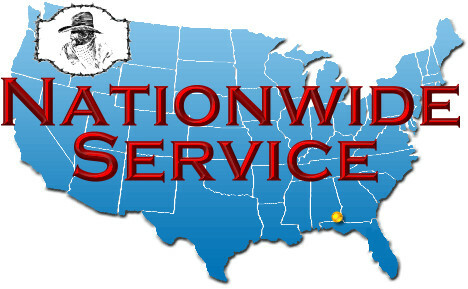 If your trailer needs service, we will locate the closest service location that can handle the problem and contact them. If the problem is covered under warranty and the service is authorized, we will handle all warranty claims and payments. Thank you for you exceptional customer service, AGAIN! We can not say enough GOOD about dixie horse and mule and how you treat your customers. If you ever need anyone to say a good word for you or your company please put us to the front of that line. We tell everyone about Dixie horse and mule and will continue to do so.